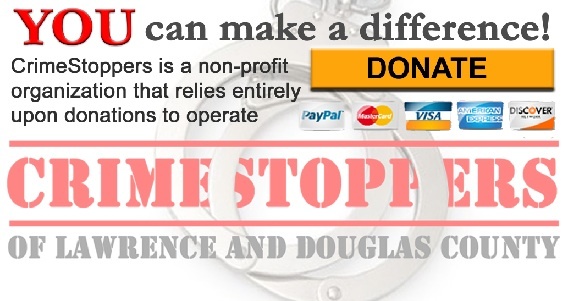 ***If you are looking to collect on possible rewards you MUST use the TIPS Hotline (785)843-TIPS(8477)*** Crime Stoppers cannot guarantee anonymity using email! Please provide any information concerning specific detail of the suspect. Examples of details are gender, facial hair, clothing, vehicle, address, roommates, etc. Specifics about why you believe something illegal is taking place or why you believe this person is wanted. You must use the TIPS Hotline if you wish to collect a possible reward!